The Lazy Dog Salon has been serving the Greater Hazleton Area since September 2009. Originally located in Milnesville, now has a new home in West Hazleton. We specialize in personalized services for the pets in your family and offer quality and reliable services you can count on. In addition, our friendly and professional staff is here to answer any questions you may have about our company or the services we offer. Whether you need a full pet grooming or a quick pet wash, we have what you need at prices you can afford. 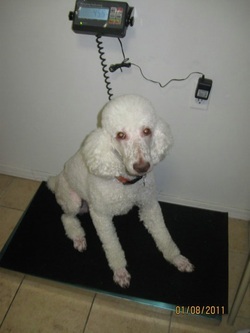 At the Lazy Dog Salon our goal is to provide you with courteous, expedient, professional service of the highest caliber. Browse our Website for more information about the Lazy Dog Salon. If you have any questions or would like to speak with the groomer, Melissa, please call (570) 459-0310.